Opaheke School operates an intake system which aids the transition from Early Childhood Centres into New Entrant classes. This means that students attend visits to school as a class group therefore having the same experience. This also enables parents to meet and get to know each other during the pre-school visit. For most of our families the fifth birthday is the time when the children are enrolled at and begin school. Opaheke School runs two New Entrant classes and the teachers are able to ease their transition from day care or pre-school centre to a more structured school environment. Close communication between the home and class teacher is essential in order that any issues arising are resolved quickly. The New Entrant teachers meet with many parents before school or after school on an informal basis and this is valuable. 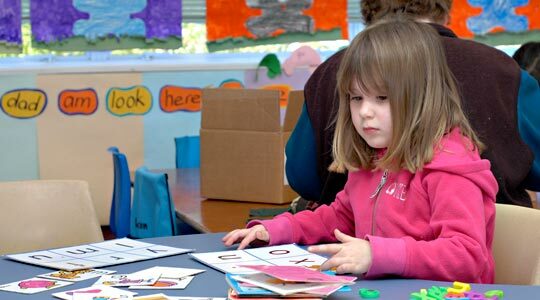 All pre-schoolers are required to have at least one class visit prior to starting school. This visit helps familiarise the children with school routines and assists them to more quickly adjust to school life. Children who start school before the first of July are classified as Year One. These children spend up to 12 months in Year One. Those children who start after the 1st of July are classified as Year 0, or New Entrant children, and may spend up to 18 months in Year One. These are the Ministry of Education Guidelines. The school is funded according to the age of the children, at the 1st of July each year, not their year classification. We are proactive in the preparation of classes and will ensure that children are provided with developmentally appropriate education no matter what their level.